"Why, you have a second arboretum here. We never dreamed there was a place like this." These sentiments were expressed by eminent plant explorer Ernest Henry "Chinese" Wilson and botanist Alfred Rehder, who traveled from Boston’s Arnold Arboretum to Blithewold on August 5, 1926. Blithewold's trees have attracted attention throughout its history. 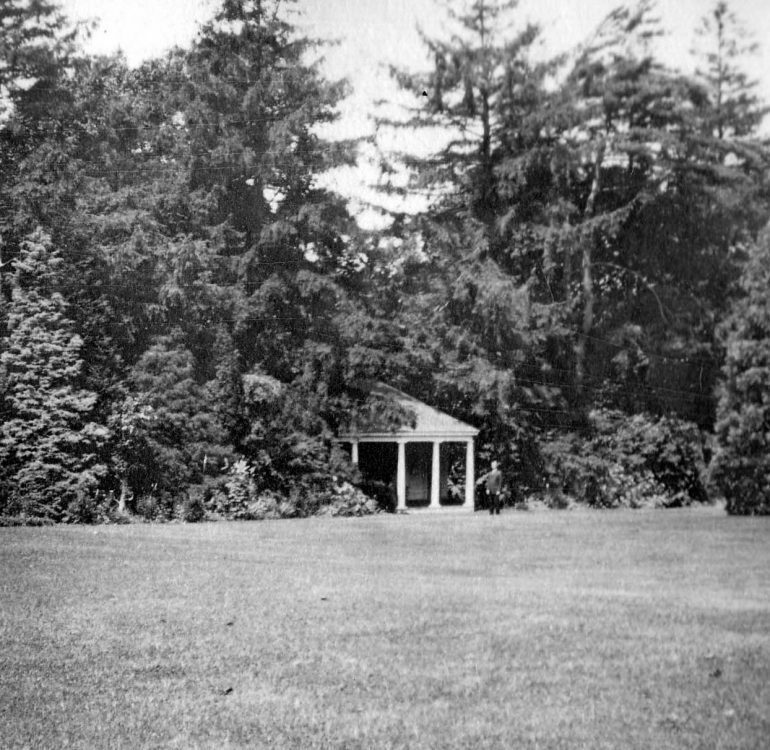 From the mid to late 1800s, former owner, John Gardner planted many of the exotic trees that so excited the visitors from the Arnold Arboretum in 1926. 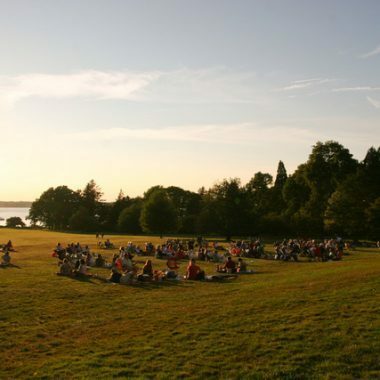 Today the maturity of the collection, as a whole, is one of the character-defining features of the property, and it continues to draw visitors including botanists, garden groups and home gardeners looking for ideas and inspiration. We are fortunate to have landscape architect John DeWolf's handwritten notes from 1895 containing his original vision for the property. He designed an informal landscape of gently sloping lawns with wide borders of flowers, trees and shrubs. Gravel paths meandered through the grounds to each distinct garden area. DeWolf laid out the Bosquet, planted a Nut Grove and designed an extensive Shrub Walk from the Bosquet to the Bay. 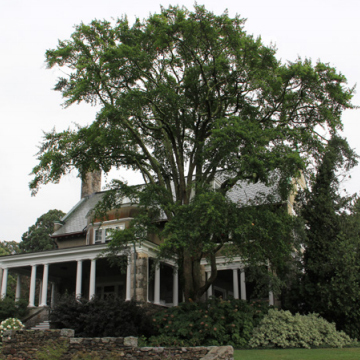 DeWolf heeded Blithewold's owners Augustus and Bessie Van Wickle's request for exotic as well as native trees and planted species from Europe, China and Japan as well as North America. It was thanks to his design that a border of protective evergreens grows along the northern edge of the Great Lawn, while deciduous trees and shrubs provided shade and interest along the south side. Nursery lists from 1908-1911, included hundreds of woody plants representing scores of species. Today there are about 500 species in a collection of approximately 2,000 trees and shrubs. Metal plant labels identify many of the plants. 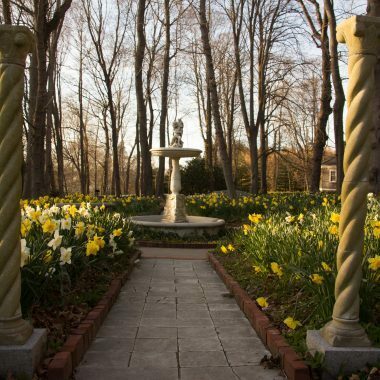 The collection boasts a variety of flowering trees and shrubs, weeping forms of deciduous and evergreen trees and venerable specimens of native trees. The horticultural staff continues to propagate the property's most unusual or hard- to- find plants and maintains a replanting program to replace trees that have reached the end of their lifespan. 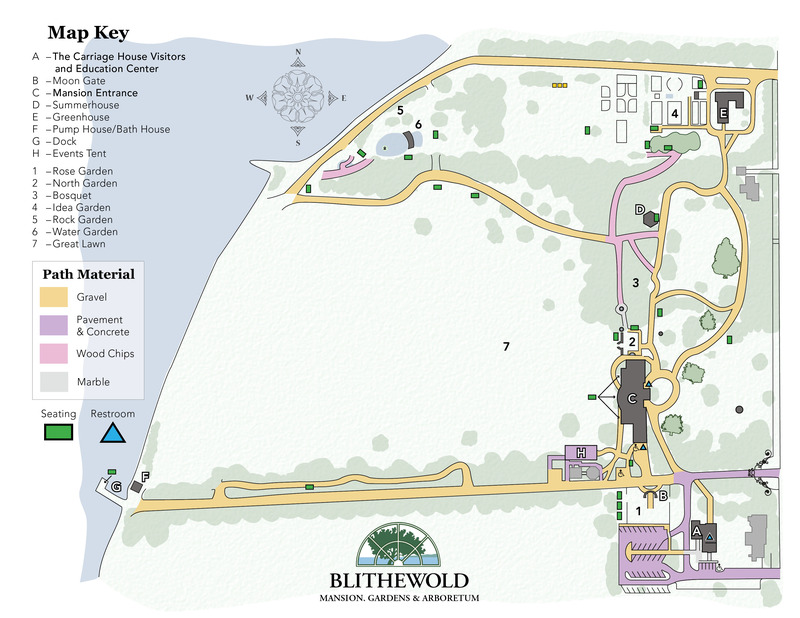 Blithewold offers its visitors today the same kind of experience enjoyed by its owners and their friends a century ago. Everywhere one walks, or looks, is something that was inspired by the family's love of plants, gardens and this very special place by the Bay. The Bosquet, French for “woodland,” features a tall canopy of deciduous trees, evergreen groundcovers, and open views within. 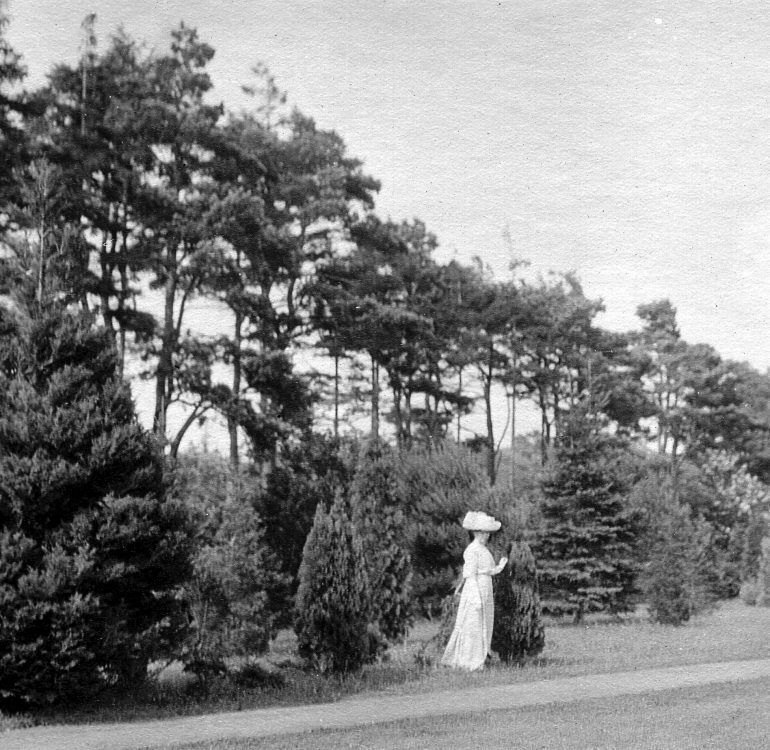 The Bosquet has been an integral part of Blithewold’s landscape since its conception by John DeWolf in 1895. 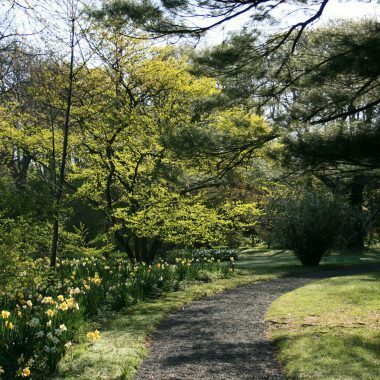 The woodland space is a delight in any season—daffodils in spring, wildflowers, ferns, and cool shade in the summer, colorful leaves in autumn, and protective solitude in winter. Bessie Van Wickle McKee amassed a collection of nut trees and planted them just west of the Bosquet. Among others, Manchurian Walnuts, Bitternut, Butternut, Hickory, and Chinese Chestnuts were included in the collection. A few of the nut trees still grace the area today. 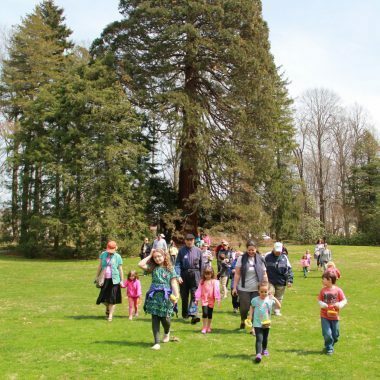 This garden is the oldest on the property and features winding pathways, a rolling lawn surrounded by mature trees and shrubs, and the Summerhouse, which looks out on Blithewold's original Giant Sequoia, planted in 1911. It is the tallest Giant Sequoia on the East Coast. Explore our map of the Mansion and Grounds.